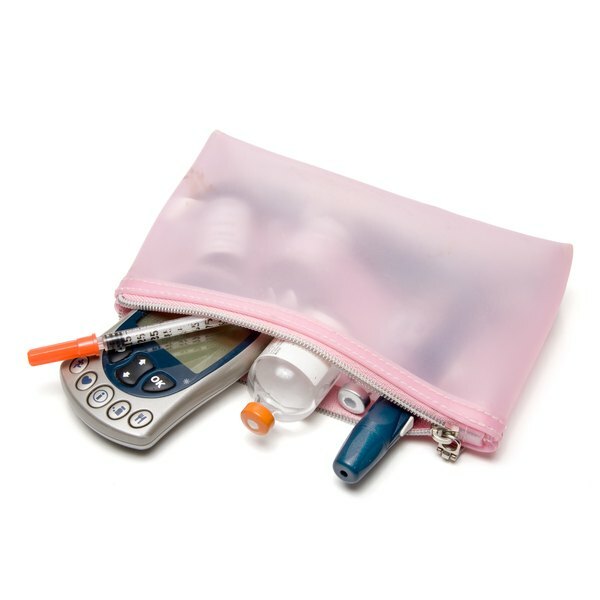 As of 2008, a little over six million Americans were undiagnosed diabetics, according to the Endocrine Society. Diabetes experts estimate that about 30 percent of American diabetics go undiagnosed. This is mainly due to the difficulties surrounding diabetes diagnosis. Updating current diagnostic methods and outlining new ones is vital in more accurately detecting diabetes and thus providing appropriate treatment. The United States National Diabetes Data Group originated the use of impaired glucose tolerance, or IGT, as a means of detecting diabetes, notes the World Health Organization and International Diabetes Federation. IGT is the name given to define elevated blood sugar levels during a period of fasting that are above normal levels, but not high enough to be considered diabetic levels. The problem with the current way that IGT is outlined is that there remains little data to support that the blood sugar levels used to indicate IGT, categorically indicate a progression to full-blown diabetes, explains the World Health Organization and International Diabetes Federation. The World Health Organization and International Diabetes Federation notes that diagnosing diabetes can be difficult due to the lack of standardized diagnostic criteria. The American Diabetes Association and the World Health Organization, use slightly different sets of values to define diabetes. As such, the American Diabetes Association may consider an individual diabetic according to ADA criteria, but that same individual may not be considered diabetic when diagnosed under WHO criteria. Another example of this absence of standardization is in diagnostic testing methods. There is a diabetes diagnostic test that measures the blood sugar levels in a form of hemoglobin over a period of many months. This form of diabetes diagnostic test is not officially recognized by medical professionals as a means of categorically diagnosing diabetes, explains the Endocrine Society. There is thus a need for a set of diabetes diagnostic criteria that is universally accepted. Having no a clear definition of normal blood sugar levels creates difficulties in diagnosing diabetes, notes the World Health Organization and International Diabetes Federation. The ADA defines normal blood sugar levels when fasting at less than 5.6 mmol/L, while the WHO’s definition of fasting blood sugar levels is less than 6.1 mmol/L. The lack of a universally accepted standardized definition of normal blood sugar levels, whether fasting or not, may cast doubts on diagnostic accuracy. One possible method of remedying the situation is using statistical data to define the normal range of blood sugar levels. One of the most common tests used in diagnosing diabetes requires fasting, notes the Endocrine Society. The fasting blood sugar level is then measured. If the value is equal to or exceeds 126 mg/dl, then diabetes is confirmed, explains the University of Maryland Medical Center. The difficulty with diagnostic tests that require fasting is that the test may not detect diabetics whose conditions are not advanced if the patient ate prior to the diagnosis. Utilizing testing methods that do not require fasting, such as the A1C test, may not only increase diagnostic accuracy, but also detect diabetes at earlier stages of development, explains the American Diabetes Association.